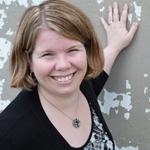 Thursday is guest post day here at Duct Tape Marketing and today’s guest is Maggie Patterson – Enjoy! Content marketing. PR. Blog posts. Social media. Email marketing. It’s enough to make any small business feel overwhelmed when it comes to figuring out marketing. The reality is that as a small business owner, you’ve got limited time and money to make marketing work, so you need to find the most effective plan of attack. While the strategies and tactics above can all be highly effective, you need to choose the right strategies for your audience. For your marketing to help meet business goals you need to be actually reaching your customers and not just looking good to the rest of the world. There is no denying the power of social media or email marketing but all the posts and emails in the world won’t matter if your customers don’t use that network or read their email. You need to start by understanding where your ideal customers look for and consume information. While your customers may not be on Facebook or reading blogs, they may read the local paper or be an avid reader of trade magazines in your market. That’s where media relations comes in. Traditional media relations can act as a powerful supplement to the marketing you are already doing, helping you find new customers in an affordable way. By working with the media and having them share your story, you can boost your credibility and reach a wider audience. 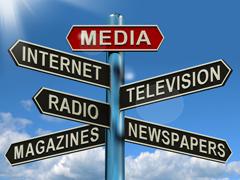 The best place to get started with media relations is to carefully research relevant media. If your business has a strong local presence, you may want to look at your local TV stations and newspaper as a place to get started. Perhaps you are in a market where your customers all read specific trade magazines. Talk to your customers and get an understanding of what media they consume. You can also check out where your competitors and partners are being featured in the media and do a search on Google to reveal publications that could be a good fit for your audience. What types of stories do they cover? Do industry experts contribute stories? What trends or issues have they not covered? Who are the best contacts? What requirements do they have for working with them? With your research done, you’ll have a good understanding of what types of stories each outlet is looking for and how you could possibly approach them. For a local TV morning show or business newspaper, you may want to offer to speak on a trend or issue. For a trade publication, you may be interested in being a source for an upcoming article or in writing an in-depth article. Generally, pitches can be sent via email. The focus of your pitch should be on establishing your authority on the topic and how it is relevant to their audience. An engaging intro. Let them know why you are a good fit and be genuine about it. A summary of your story idea in two or three sentences. A two-line bio to establish your authority. Writing samples if you are pitching a guest post or article for publication. The key is to be helpful and remember that your pitch is just one of many they receive each day. Once your pitch is sent if you don’t hear back in 7 to10 days feel free to gently follow-up. After that move on to another target that may be more receptive to your pitch. Remember, not every pitch will result in a story, your goal should be to build your relationship with key reporters over time so they do think of you when there is the right opportunity. Media relations is a powerful way to increase your reach as a small business using a proven, highly affordable marketing strategy. Taking marketing offline may just be the way to reach your target customer and boost your organization’s credibility in your industry. Maggie Patterson is a content + communications strategist who works with small business owners to help them use content marketing, PR and social media to meet business goals. She is the author of the Press Kit Principle, a guide to website mistakes that often hold entrepreneurs back. You can get a copy of the Press Kit Principle here or connect with Maggie on Twitter @magspatterson.